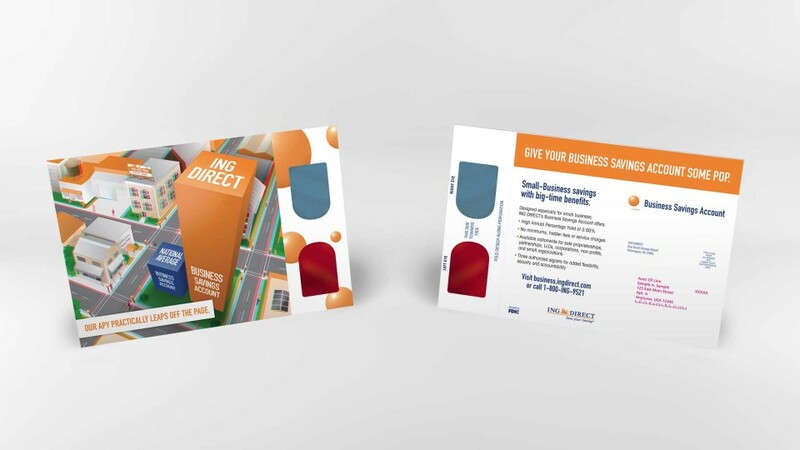 Concept and form exploration for new direct mail creative which significantly improves response rate. This postcard concept was both cost effective to print and mail. It included a perforated pair of 3D viewers that when used on the postcard image created a compelling 3D pop of the ING DIRECT return.